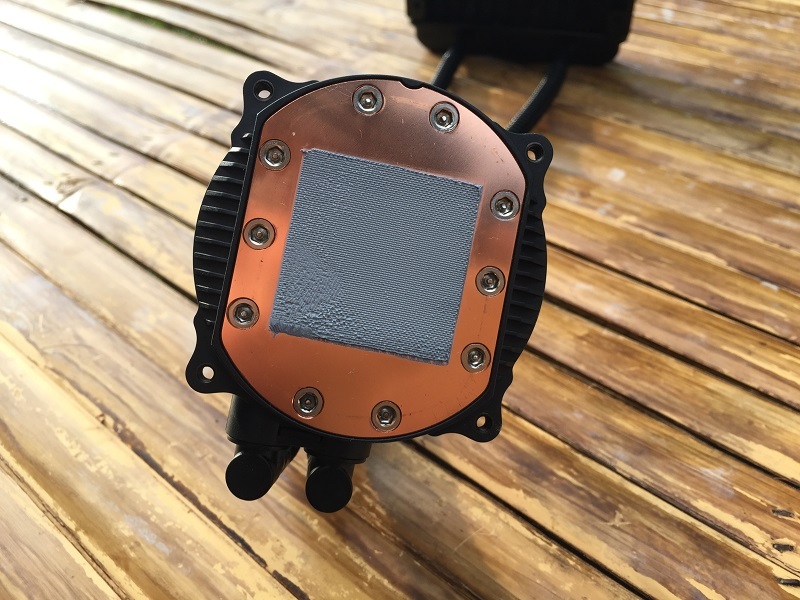 Since 1996, Deepcool has been famous in manufacturing thermal products for desktops, laptops and servers and what we have today is Deepcool Maelstrom 120 and 240. 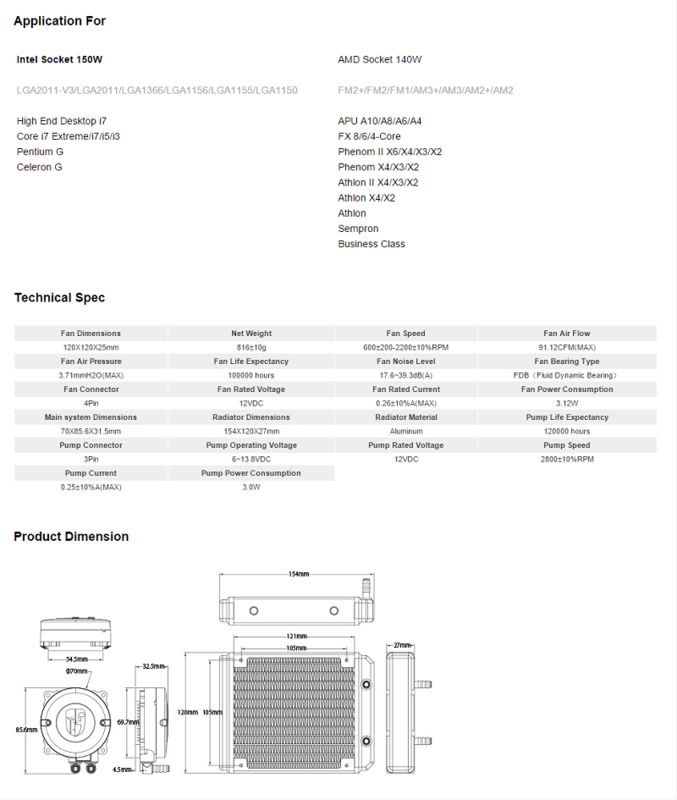 Both AIO Cooler is under Gamer Storm line of CPU Coolers of both air and liquid cooling. The Gamer Storm logo is like bionic face, which came in white logo. In this cooler. 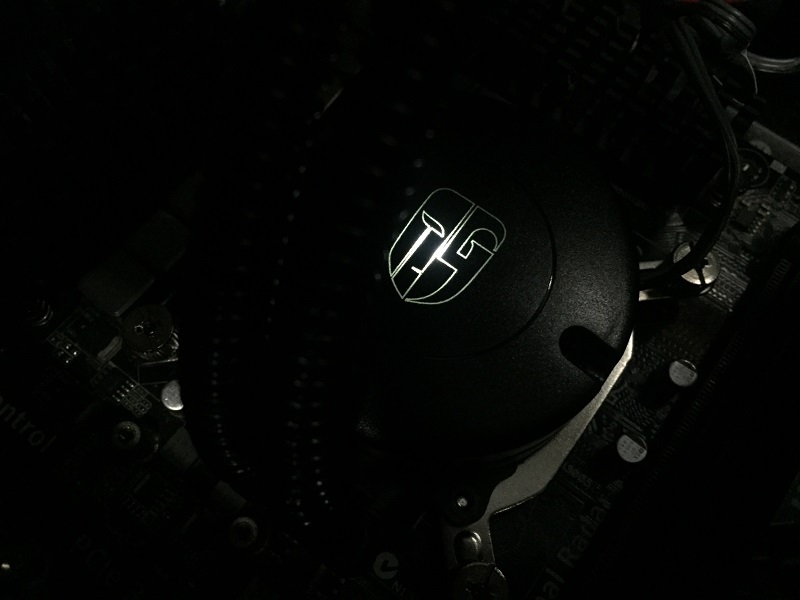 The logo of Gamer Storm at the waterblock is breathing in white LED. Unlike of many other AIO Liquid coolers, Deepcool makes the Maelstrom 120 and 240 with Black and Red theme with special features. What do they have apart from other brands? Stay on with our review. 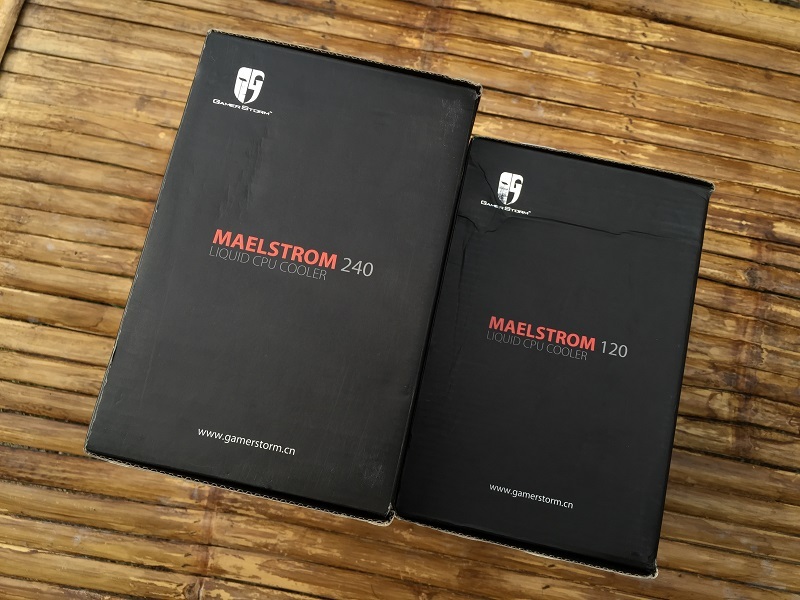 In this section, we will make an unboxing of both Deepcool Maelstrom 120 and 240 AIO Cooler. 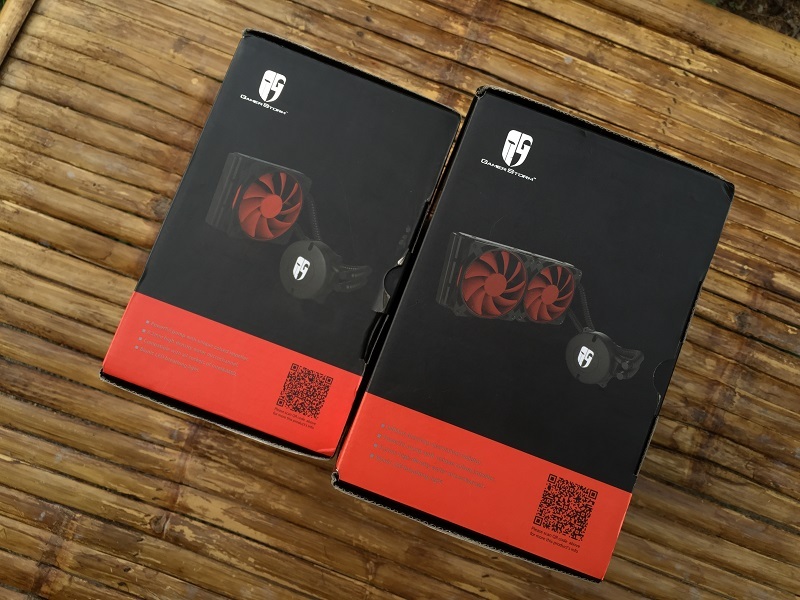 Deepcool chooses a combination of red and black colour as their main theme of both the packaging and also the cooler itself. At the right there is illustration image of the cooler itself together with a QR Code to access more information regarding this cooler. 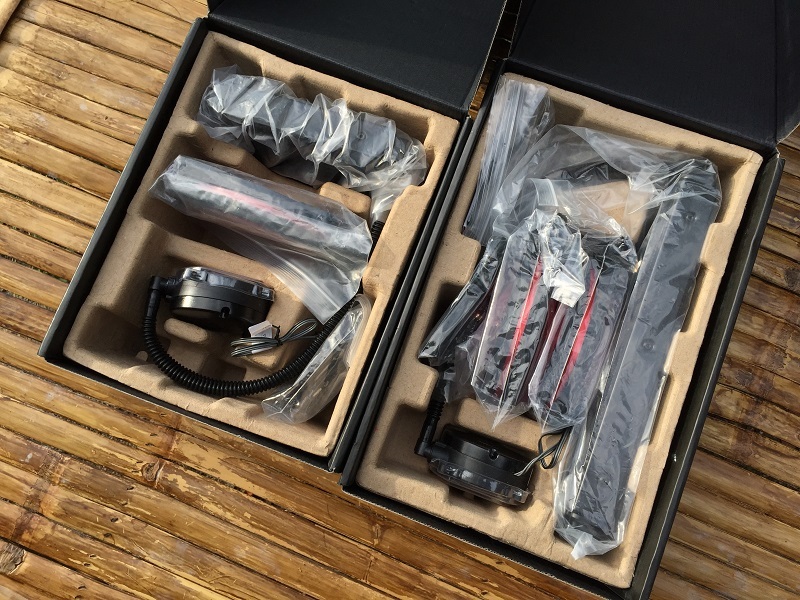 User can find full specification at the back side of the packaging. There’s nothing much on the left packaging besides the model name of the cooler itself with the Deepcool Gamer Storm logo on the top left. 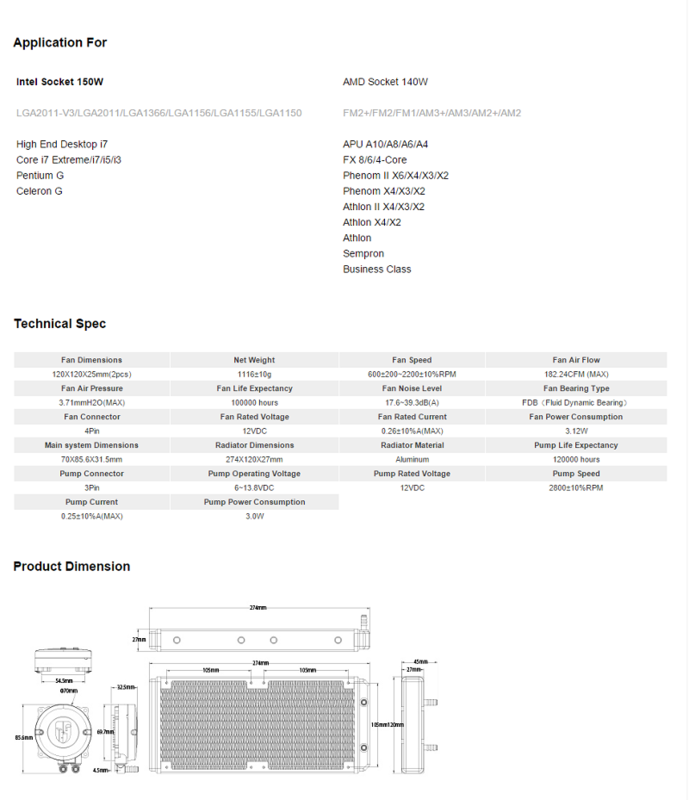 On the top user can find details of features for the Maelstrom cooler. The packaging is almost the same with each other. Each item is fully protected inside different compartment to ensure safe package. Overall view of Deepcool Maelstrom 120. Deepcool is using FEP Tubing for this model which very excellent of kink resistance and lower coolant evaporation rate. The fin used by this model is almost the same like the rest of AIO Liquid cooler. 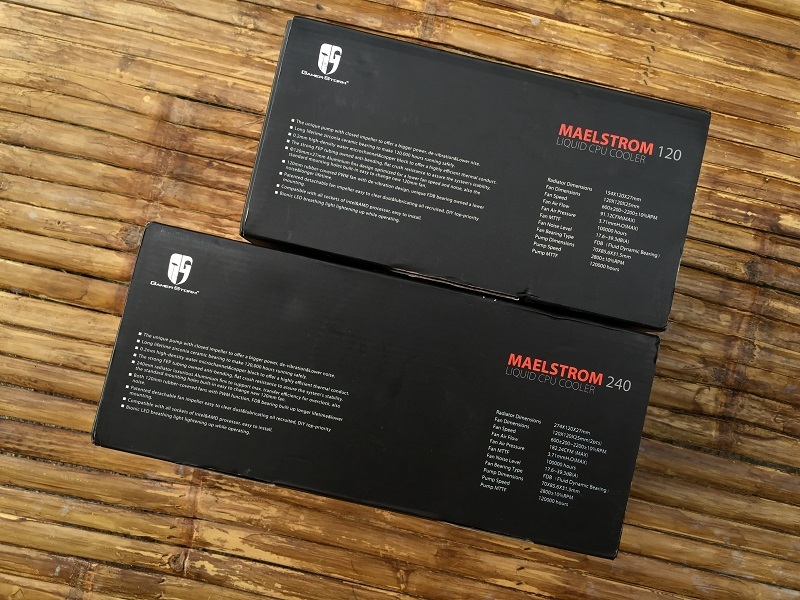 The waterblock design of Deepcool Maelstrom for both 120 and 240 model. 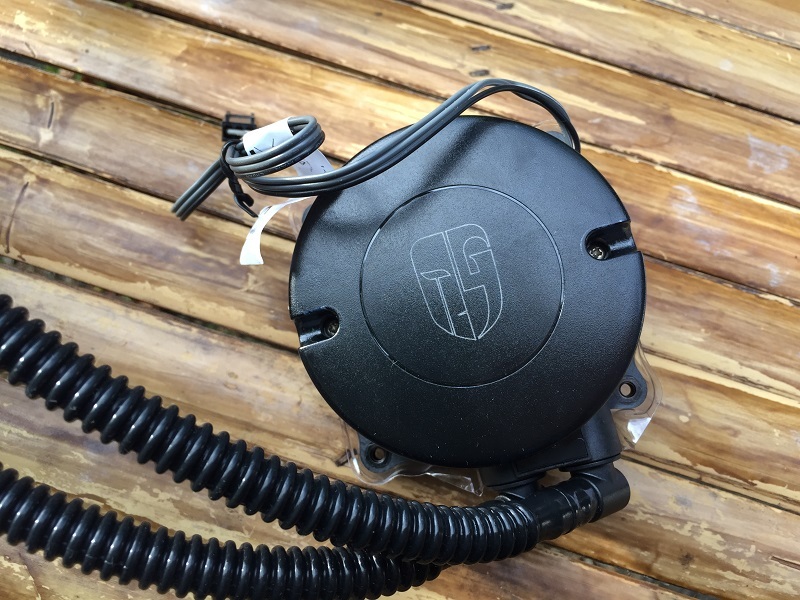 There is a bionic face logo of Gamer Storm in the middle of the pump that powered up by the single 3pin fan connector. The logo will glow with breathing mode of white led while operating. The waterblock is made out of 0.2mm high-density water micro channel & copper block to offer a highly efficient thermal conduct. The unit is pre-installed with thermalpaste. The special features I like on this fan is the whole fan structure is made out of rubber with PWM Function. The fan is also detachable for easy to clear dust & lubricating. 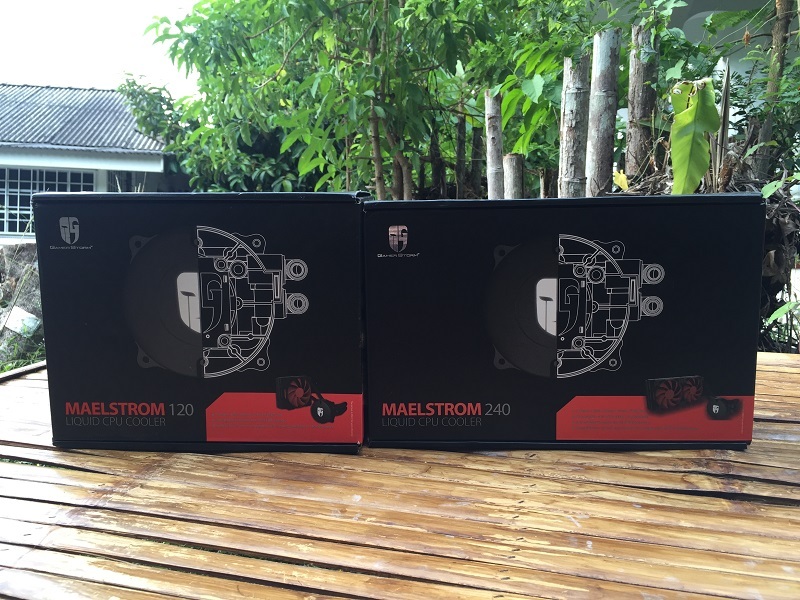 For the stress test we compare between Intels stock cooler and Deepcool Maelstrom 120 and 240. The processor are preset and test on both stock settings at 1.08V vCore and overclocked to 4.2GHz with 1.12V vCore using the ASUS OC Tuner that comes with the motherboard and tortured for 30 minutes with Prime95 stressing application. 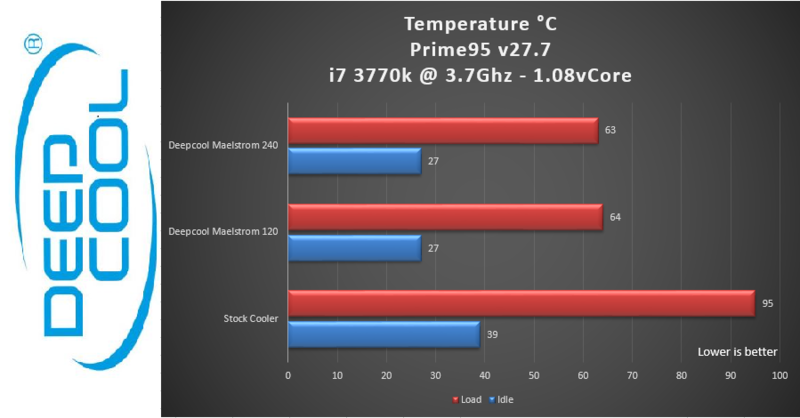 As you can see here, the load temperature obtained with the 240mm radiator was 32°C lower than the stock cooler, which is a very good improvement. 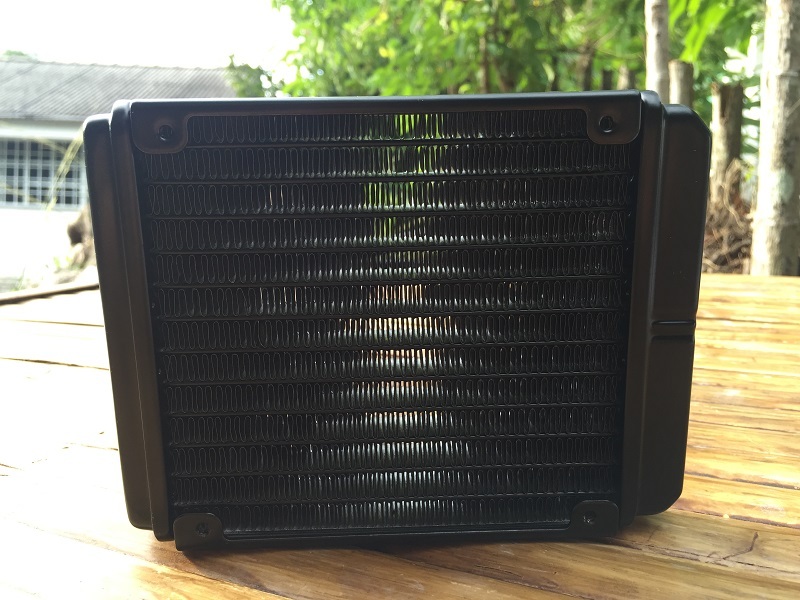 Besides that, this 240mm AIO cooler also reduced the idle temperature by 12 °C. 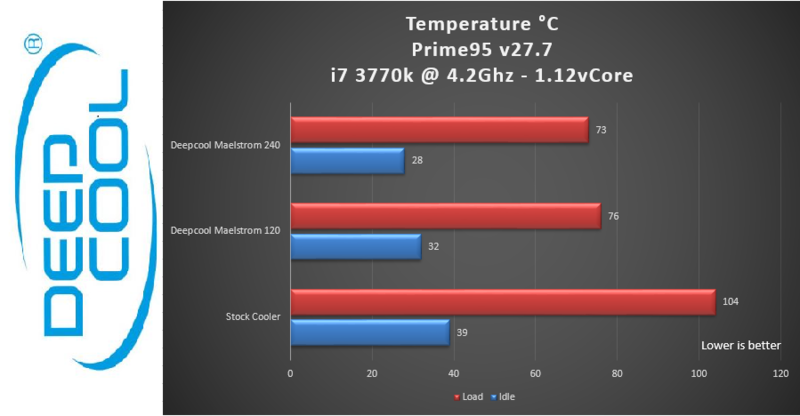 When the processor is overclocked to 4.2 GHz, the cooler is slightly stressed with higher temperature produced from the processor. The maximum temperature recorded is 73°C with 240mm radiator which is 31°C lower than the stock cooler. Now it comes to end part of the review section. We are having fun playing with the cooler. The fan is silent during idle operation, but user can notice the pump is quiet noisy even at idle. When the stress test begins and the fan starting to increase the speed, user can hear the sound of the fan and pump produce. 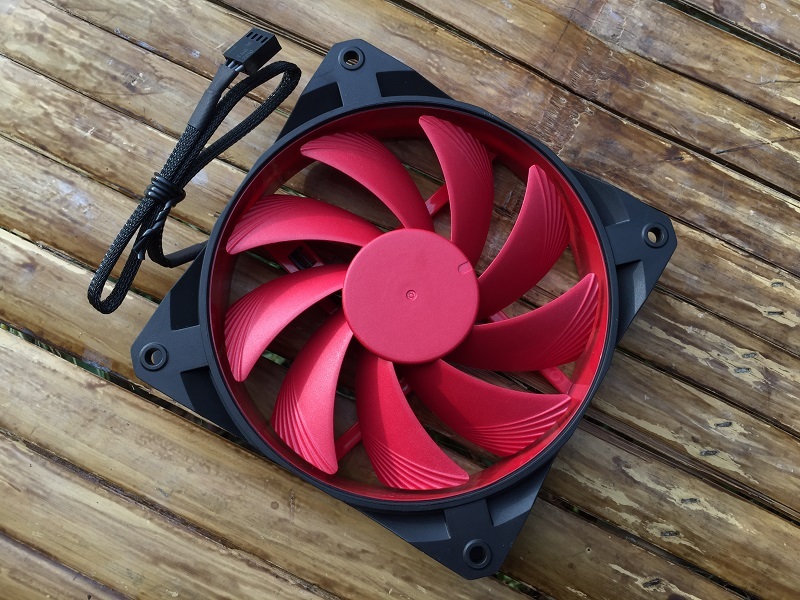 We like the idea of rubberized frame for the fan but seems it’s not really enough to hold this beast. The overall shape and design of the cooler is nice with red and black theme. 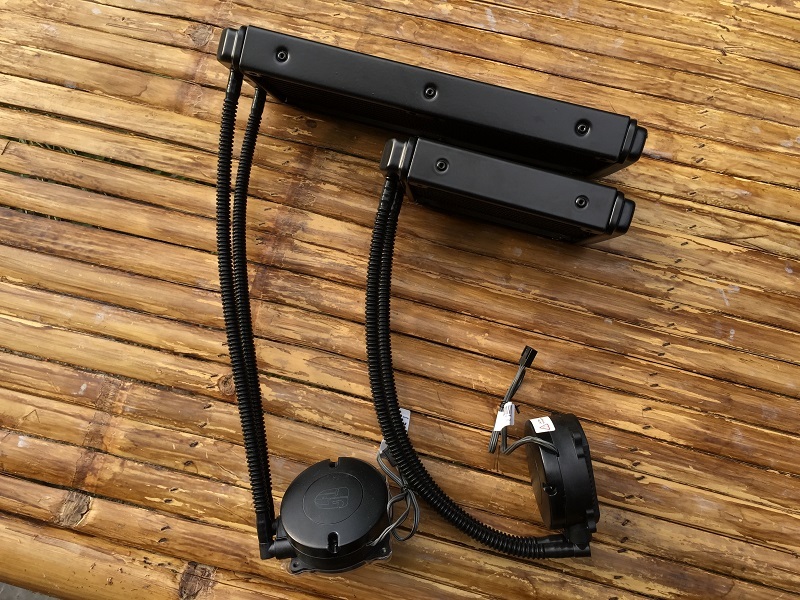 As one of the budget AIO Liquid Cooler on the market, we notice their waterblock is the most attractive among others. The logo in the Bionic shape of the Gamer Storm with a breathing of white led during operating really attract our attention. 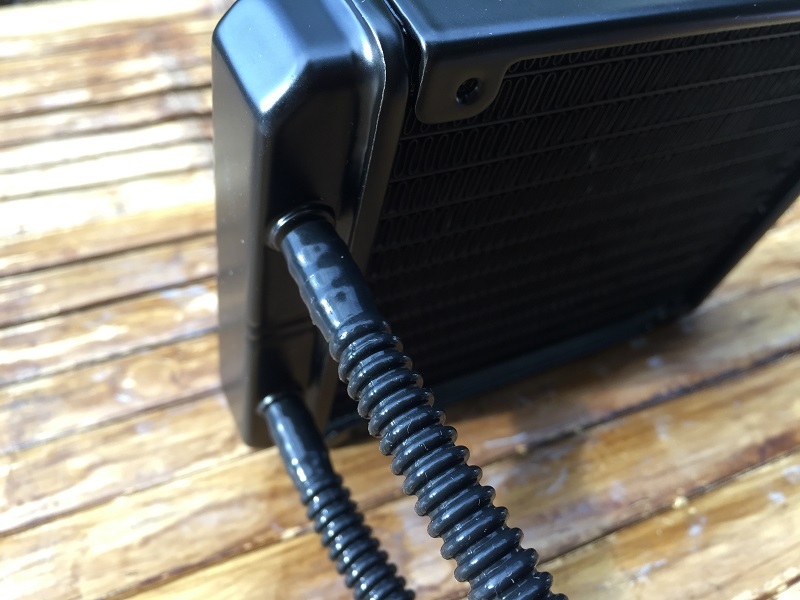 Deepcool is using kink resistance for their tubing to reduce the chance of kinking during the installation process. The fan can be detachable which is really helpful for user to maintenance and easy cleaning the unit. 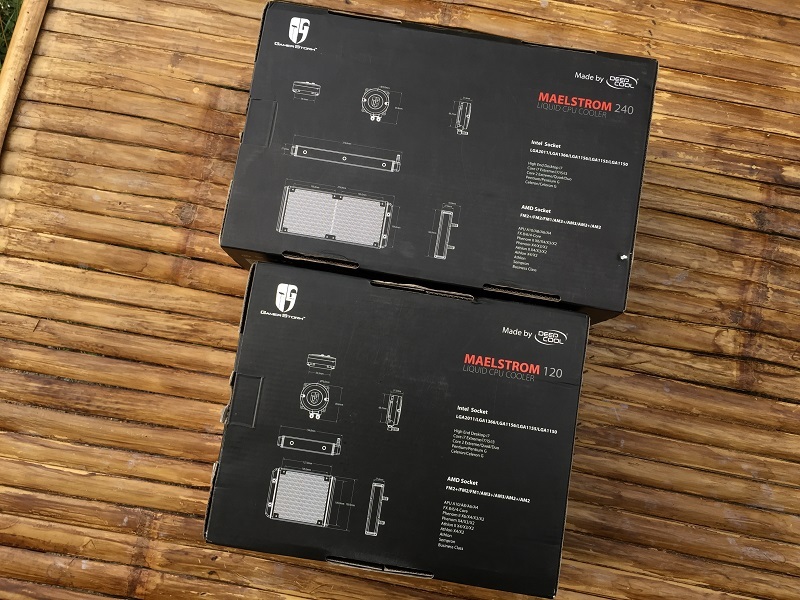 Finally, I would like to say thank you to Cyntrix Technologies Sdn Bhd for the review units of Deepcool Maelstrom 120 and 240. 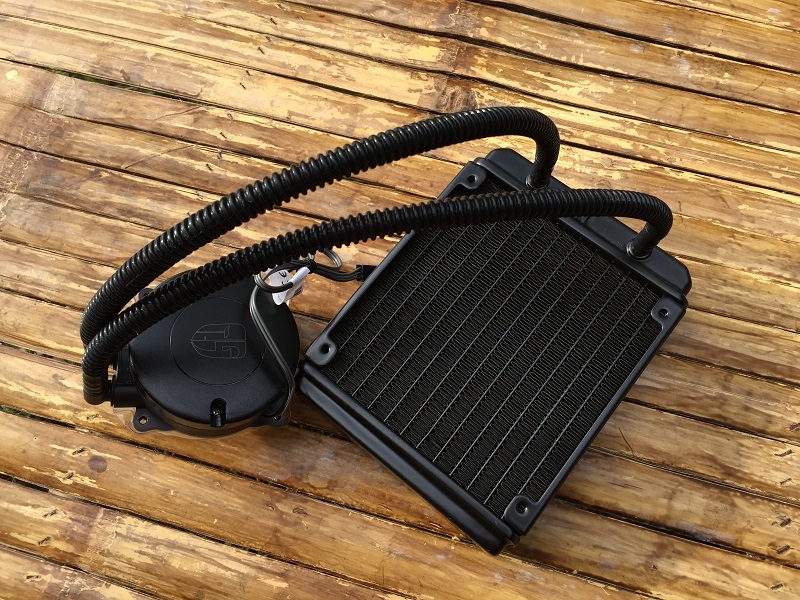 Sorry to bring an old review out, but is there anyway to change the liquid in this aio liquid cooler? What happens when the water gets evaporated.